With over 300 million users, LinkedIn’s population compares to that of the United States. To have all these potential contacts at your fingertips is invaluable for any jobseeker. But with every social network there are golden rules and pitfalls. Here are my guidelines for making LinkedIn the best part of your publishing job search. Switch updates on and off by going to: Account & Settings > Privacy & Settings > Turn on/off your activity broadcasts – and uncheck the box. 2. Always use your real name and a photograph. It is a good idea to use the same profile picture you use on other networks, such as Twitter – if it is a genuine photograph of yourself. In the rules of marketing there are seven ‘touches’ before you get a sale. You are now marketing your personal brand, so you need to create these ‘touches’ within your job search. If you are apprehensive about putting personal information on the internet, you don’t need to put your whole CV/resumé or career history onto LinkedIn – you can be selective and only list the skills and experience that you feel are important to get you your next role. You might not add in the name of your secondary school, for instance. There is a lot of information about you already accessible on the internet; far better that you control your information and your brand than let others do so for you. 3. Choose your job title carefully. Write a job title that closely matches the role or work you wantto do, not the role you may already have. This is because Human Resources departments and headhunters search for people by job title. When I look through LinkedIn I see nothing but ‘Publishing Professionals’. What is a Publishing Professional? How many HR Managers do you think are searching for candidates using the job title ‘Publishing Professional? I can tell you now: zero. So choose a job title that is relevant to the work you are looking for or which closely matches the new role that you seek. For example Editor, Editorial Manager, Editorial Director, Marketing and Editorial Freelance, Marketing Executive/Manager. Your job title on LinkedIn is the best way to attract the right people to your profile. For instance, since I included the words ‘Career Guidance Strategist’ in my personal LinkedIn profile, I have had approaches from colleges and universities. When I added in the words Commissioning Editor, I had approaches from publishers. You don’t need to stick to only one job title; you can have several words and phrases up to around 120 characters. 4. Keep your profile relevant and add in your skills. One of LinkedIn’s more recent profile sections is ‘skills’ and you should list all the skills that you have and that you want to use in a new role. 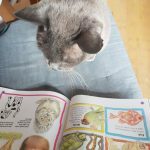 The skills option seems completely flooded with unquantified skills at the moment such as ‘publishing’ – which could mean anything. How the skills option develops or is used, or if it brings any real benefits, is yet to be seen: it could simply be a feature to let others ‘touch’ your profile and so you ‘touch’ theirs. Always make it a personal policy to only endorse others who you personally know and are willing to endorse. 5. Ask others for recommendations. Recommendations are testimonials or references written by others about good work or projects you have done. You do not have to recommend in return, although some of your contacts may expect it. A recommendation gives your profile weight, as it shows that others are willing to commit to public a testimonial or reference saying that you have been good at your job. Don’t be afraid to ask others for recommendations – and, equally, don’t be upset if they refuse or ignore your request. 6. Connect with other people you know. Start with current and former colleagues, but again only connect with people that you want to. Don’t feel obliged to accept every connection request and don’t connect with people that you don’t know. Before you connect with someone, read their profile and under ‘Additional Info’ there may be an item which says ‘Advice for connecting with…’ See if there are any requirements that they have asked for when connecting – for instance, my profile says: ‘Please state the reason for requesting contact or indicate how I know you in your ‘Invitation to Connect’ request. If you do not use your real name on LinkedIn, please don’t expect me to connect. 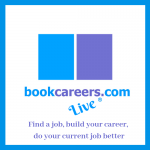 Don’t forget there is a bookcareers.com group on LinkedIn which you are welcome to join’. It is really important to connect only to those who you know or are really happy to connect to because, unless you have ‘hidden’ your connections, they can then see who you are connected to, and other people may take these as endorsements. It also means that in LinkedIn searches they appear connected to you, and therefore others may feel they need to connect with them too. Always send a personal non-standard connection request unless you have already agreed with someone to connect on LinkedIn (although you might still want to remind them of your conversation). ‘I am currently looking for a role within Trade Editorial, I’ve registered on your website, but would now personally like to connect with you on LinkedIn’. 8. Join relevant LinkedIn Groups. There are thousands of publishing related groups on LinkedIn, and all groups have a page for Job Vacancies (unless the group owner has disabled this function). Search for the groups that are most relevant to you but, if you are new to LinkedIn, make sure you have at least two connections – otherwise you will be flagged up to the group owner as a potential spammer. When joining a group, do check the group rules or protocols. 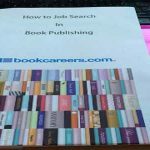 For instance, the Bookcareers group on LinkedIn does not allow book or blog promotional posts and those who post find their posts quickly removed. To ensure that your inbox isn’t flooded with emails from the groups you join on LinkedIn, do make sure that you set your email digests for each group according to your personal requirements. From some groups you might want to receive daily updates, another group you might want a weekly update, and some groups you might want no email updates from at all. One of the best ways to get yourself ‘noticed’ on LinkedIn is to ask an appropriate question or post an interesting link you may have seen in to the ‘Discussions’ area. But, before you do, make sure you’ve monitored the group for a week or so, to see what others are posting and how you may contribute. Like Twitter and Facebook you can now update your status on your LinkedIn profile. You can make this public, visible to everyone on LinkedIn, or just to your contacts. Remember though this is not Twitter; some people make the same status updates that you would find on Twitter but you have a different, more professional, audience on LinkedIn and sending all your tweets to LinkedIn is not appropriate. 10. Choose companies to follow. This article appears in the October 2014 edition of Publishing Talk Magazine, which is available as a free download for a limited time.